Do you think we’ve taken the “L”off learning, and turned it into a situation of EARNING? Instead of enjoying the process, there seems to be stress to prove ourselves, compete, and over-ride the natural learning curve. Learning is a personal and unique experience. Just as each flower blooms in its own season, each person moves through learning cycles and achievements when it is most ripe and appropriate for them. When we ignore or bypass this natural learning curve for the sake of deadlines or curriculum commitments, the potential in the individual becomes limited, and in some cases sabotaged. The true spirit of education is to “draw out” the wisdom from the learner, rather than deposit, stamp-in or force it. It requires patience and understanding to experience a genuine learning process – in its own time. Learning, in its most natural state is fun, simple and easy. It grows and transforms us so that we are born anew, feeling energized and ready, wanting more! “We have too many meetings, sitting in a room, expecting the team to absorb. My big take away was that we need to make change, keep their brains active and ensure that the energy does not leave the room. 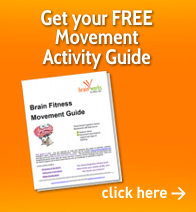 Growth and Achievement are easy when you use Brain Works Global, simple, fun and effective, Brain Fitness tools.